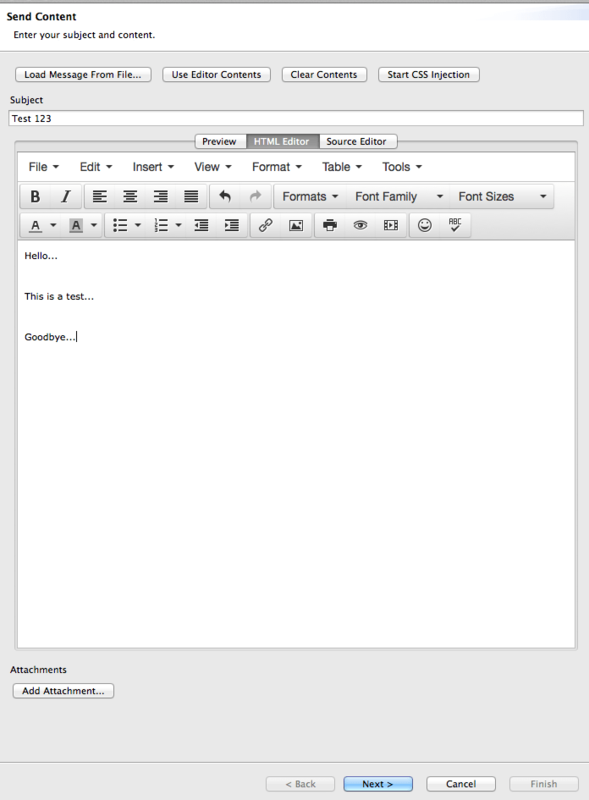 Opens up the HTML editor in a new window (same as display does). Allows the contents to be sent to contacts. The user can choose to email, print, display, fax, SMS message, phone, speaker or send the content over social media. 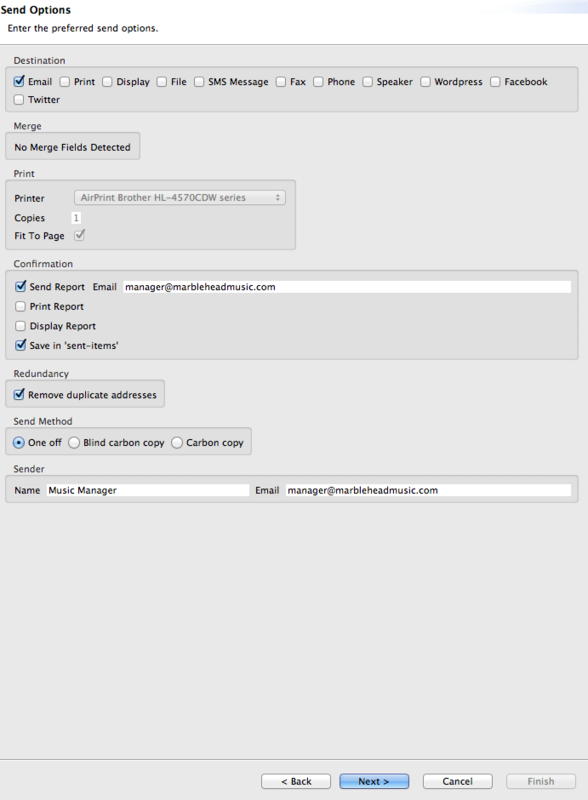 Additional custom merge, method, and report options can be selected depending on the chosen destination. Unavailable options will be greyed out. 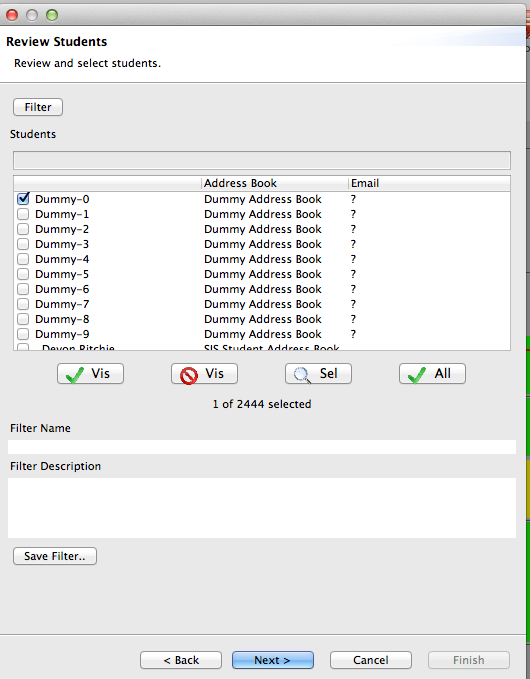 Filtering options in the next step allow the user to choose recipients. When the wizard completes, select finish.